We specialise in personalised instruction. With our small class sizes we can we give our full attention to you and guarantee that you will be creating pieces on your first day! All our courses include instruction, equipment, materials and firing costs. All our beginner classes require no previous experience and you will complete the piece(s) you make by the end of the class. After the class your pieces will be left at our studio to be dried, glazed and kiln fired by us. We notify you when pieces are ready to pick up or for a small fee we can arrange for your pieces to be packaged and posted to you. 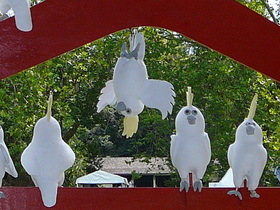 We can post your finished pieces Australia wide as well as overseas. If you would like to purchase a class for a friend then view all of our Gift Voucher options. 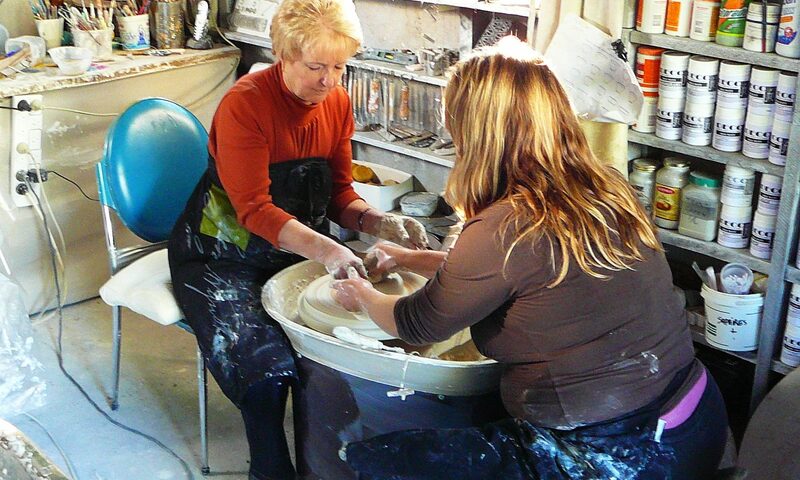 We offer a variety of pottery classes to choose from for both beginners and advanced students. Scroll through this page to see all our classes or click on a course name to jump to it’s details. 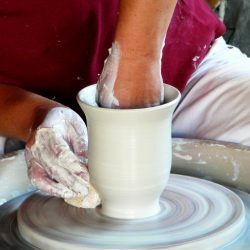 This hands on one day pottery class will introduce you to the basics of throwing clay on a potters wheel. 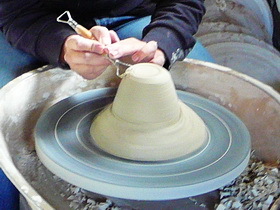 Course will encompass clay preparation along with throwing techniques including centering and raising. You will make several pieces with a choice of cups or bowls. After completing this class you can optionally book the One Session Wheel Turning to polish off the pieces you’ve made. This is a follow up course to the One Session Wheel Throwing and can be scheduled next day or the following week. 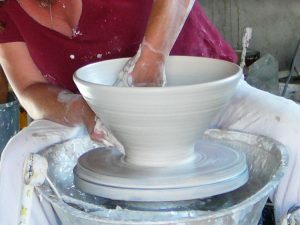 This course will take the pieces made from the throwing class which have dried overnight and will focus on creating a polished piece on the wheel incorporating turning techniques. 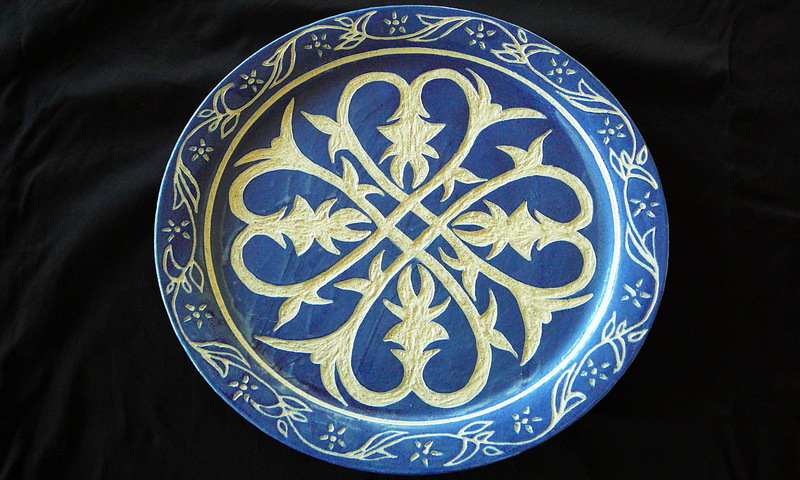 The turning techniques taught will smooth out any rough edges as well a remove any excess clay on your pieces so they are as light as possible and aesthetically pleasing. Make your own one of a kind teapot! One of the most popular of our pottery classes you will learn a variety of hand building techniques such as pinching and coiling that allow you to transform a block of clay into a teapot. Once fired you will have a usable teapot which you can show off to your friends at your next tea party! Create your own personalised candlelight lantern in clay which you can hang as a mobile or displayed as table piece. To get you started we will provide you with the clay body of the fish and you will carve parts out and add the facial features, fins, handle etc, in clay. Add a bit of colour if you want and just let your imagination go. Explore various techniques of hand building such as pinch pots, coiling and carving that allow you to transform a block of clay into your own creation. After a little practice with these methods you will work on your own bird sculpture and be surprised by what you can achieve. If the above pottery classes don’t suit then perhaps you have an idea but don’t know how to turn it into a finished product. Contact us to discuss and we will give you the options and expertise to turn your ideas into reality. Whether large or small, simple or complex we’ve always risen to the challenge and look forward to doing so with yours! Need to revitalise and energise your team? Tired of the same old offerings? Try something different and creative with our clay workshops to refocus your group. We will work with you to provide the best options for your group needs. 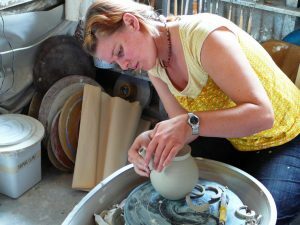 For further details visit our Team Building Pottery Workshop page. A great way for you and your friends to spend the day together being creative, having fun and making a special keepsake. Whether it’s a birthday, hens or a girls day out we can tailor a group pottery class to suit your needs. Call or email us to discuss ideas on what works best for you. For inspiration visit our Hens Party Pottery Workshop page. Our best option for a family class with young children is our Smushing Platter Project. Using a simple technique of preparing clay balls and coils you smush them together to make your own masterpiece platter from scratch! This class involves adults and children working together to make platters. We can accommodate family sizes of up to 5 people (eg 3 adults and 2 children). When booking specify the number of students based on the total number of adults and children attending. A platter will be made for each student booked. For family sizes of 6 to 10 a maximum of 5 platters will be made and charged for. Throw your own teapot from scratch on a potters wheel. This class runs over two days which can be booked on consecutive days or over a two week period. On the first day you will prepare the clay and throw the teapot body. You will then make the spout, lid and handle. Lastly, you will join the various teapot components to form the final teapot. On the second day you will turn the teapot on the potters wheel to smooth out and rough edges and remove any excess clay. Prerequistes: To enroll in this class you must have completed both the One Session Wheel Throwing and One Session Wheel Turning courses. 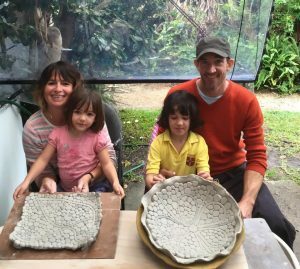 This course takes your pottery wheel skills to the next level with you throwing a piece using up to 5 kilos of clay. This class runs over two days which can be booked on consecutive days or over a two week period. On the first day you will prepare the clay and throw a large bowl or vase. On the second day you will turn your bowl or vase on the potters wheel to smooth out and rough edges and remove any excess clay. Prerequistes: To book a studio session you must have completed both the One Session Wheel Throwing and One Session Wheel Turning courses or one of our Beginner Hand Building Pottery Classes.